AgbayIt is important to remember that conventional cake levellers can bow and move whilst cutting, this is due to the blade being under little pressure. Agbay cake levellers have around 110lbs of constant pressure so will slice through nuts, fruit cake and more! Nowadays, the cake decorating world is saturated by sugar pastes, modelling pastes and modelling chocolates, but there is one unique Modelling Paste by Cake Dutchess that was formulated by Etty Van Urk from the Netherlands, is now highly sought after worldwide. Malleable paste that doesn’t dry too quickly. Unique recipe made for and by a modelling expert – Etty Van Urk. No need to add Tylose Powder or CMC. Dries with a smooth, shiny texture and doesn’t sag. Rolls very thin & comes in an air-tight tub. Mini videos with Etty that show off the Cake Dutchess Modelling Paste holding it’s shape, rolling very thin & being coloured with gel pastes. Craftsy tutorial preview featuring the Modelling Paste & Etty Van Urk. Popular tutorials on using the paste. Additional items to help you create the perfect figure. Without the need to use CMC or Tylose Powder, you are good to go straight from the tub. See how effortlessly it holds it’s shape. The bespoke formula of the modelling paste ensures it can be rolled very thin without any cracking. The malleable paste quickly absorbs the colouring gel to create a consistent finish. The Cake Decorating Company. Worldwide shipping available – Free for the UK, spend over £25. Etty shows off her advanced skill set in 6 step-by-step video tutorials. 1000+ Students already enrolled in this course. Class materials, including a list of weights and colours for animal components. Detailed instruction, explanation and demonstration. Answers from Etty in the Craftsy virtual classroom. 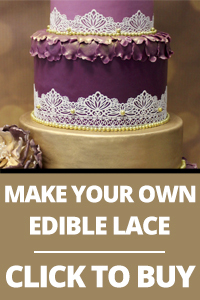 Great tutorials from the Cake Dutchess Facebook Page using Cake Dutchess Modelling Paste. Contains 8, double-ended tools which are great for the modelling beginner. Essential for the effortless rolling of sugar paste or modelling paste. A board that repairs itself after being cut also comes with a hand-printed grid. A selection of high-quality moulds that work well with modelling paste.